But there's still a lot we don't know about it. There is no shortage of sub-compact luxury crossovers on the market. The Audi Q3, BMW X1, BMW X2, Cadillac XT4, Infiniti QX30, Jaguar E-Pace, Lexus UX, Mercedes GLA, and Volvo XC40 all spring to mind. Even though Alfa Romeo is quite late to the party, we think the Italian automaker showed a lot of promise with the Tonale Concept, revealed this week at the 2019 Geneva Motor Show. Although it was just a concept, an Alfa Romeo spokesperson told us "the intent is to bring it to production relatively unchanged" but that they haven't been told when the car could arrive in the US. Alfa's European brand boss, Roberta Zerbi, said a production version will go on sale in the "last quarter of 2020." Judging by the timeline for the Giulia, the Tonale could arrive in the US by 2021. When it does arrive, you can expect the Tonale to look very similar to the concept, although Alfa Romeo will have to add a few details such as windshield wipers, bigger mirrors, and an additional seat in the interior. Although we have a good guess for what the Tonale will look like, what lies underneath remains a bit of a mystery. "We are still working to determine the best architecture to guarantee a vehicle that people expect from Alfa Romeo," the company said in a statement. Many have speculated that the Tonale may share a platform with the recently-revealed Jeep Renegade plug-in hybrid but if seems Alfa itself isn't even sure yet. Alfa has confirmed that the Tonale's "eAWD traction is provided by the electric rear motor, optimizing both weight and performances." This is the same type of system employed on the Renegade, combined with a 1.3-liter gasoline engine producing a total of 240 horsepower. We are still holding out hope that the Tonale will be based on a shortened version of the RWD Giorgio platform found on the Giulia and Stelvio. The Giorgio platform was designed with electrification in mind, so it still remains a possibility. 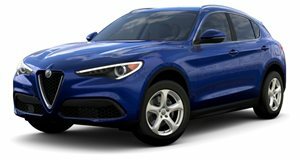 Alfa Romeo's five-year plan includes the addition of hybrid, plug-in hybrid, and E-Booster (mild hybrid) models, so this Tonale crossover will be the first step toward an electrified future for the brand. When the Tonale does arrive, it will feature Level 2 autonomous driving technology, which along with the PHEV drivetrain, should make it an interesting choice in the luxury sub-compact SUV segment.